Coming all the way to London and not seeing the English countryside is not only a wasted trip but a missed opportunity. As everyone will tell you, the best parts of England are out in the countryside. It’s where we English go on our vacations, and its natural beauty and historical sights have inspired travellers for centuries. You’ve read about it in classic novels and seen it in the many British TV shows and even Hollywood movies, but nothing beats seeing it for yourself. Get out of London and experience the real England that is what makes the country really special. Day 1 – First out of London we can visit the picturesque university city of Oxford famous for many things including TV’s Inspector Morse and Lewis though the beautiful buildings make it unmissable for anyone. Going back about 6,000 years we can experience one of the oldest prehistoric cultures on the planet with the enigmatic Stonehenge that was ancient before the Romans came. Day 2 – The morning is spent in the city of Bath with its famous hot springs and beautiful streets that Jane Austen used to tread. 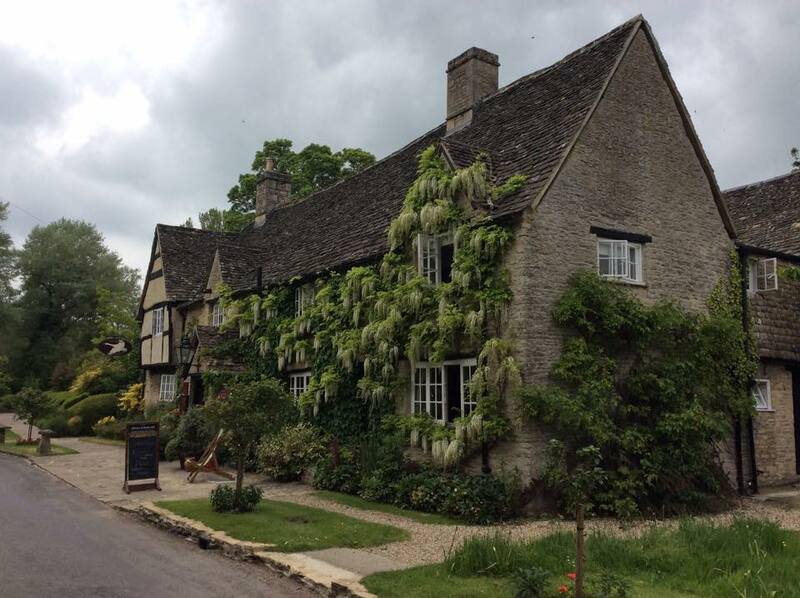 In the afternoon we will meander through the beautiful Cotswolds and villages such as Lacock and Stow on the Wold, that most scenic area so beloved of Hollywood in movies such as Warhorse and Harry Potter. Naturally many of the hit British shows are set here from Wolf Hall to Downton Abbey as well as the modern literary classics such as Agatha Christie and PD James. Day 3 Of course, we can visit any place you like on this private personal tour but who could miss a chance to visit Stratford Upon Avon, the home of all things William Shakespeare and the man who work still inspires writers today and whose language we use without even knowing even if it sends us as he once said ‘on a wild goose chase’. Day 4 Further north is the famous Sherwood Forest, home of Robin Hood and his Merry Men. We can visit the very large and ancient oak tree in which he hid from the tyrannical Sheriff of Nottingham. 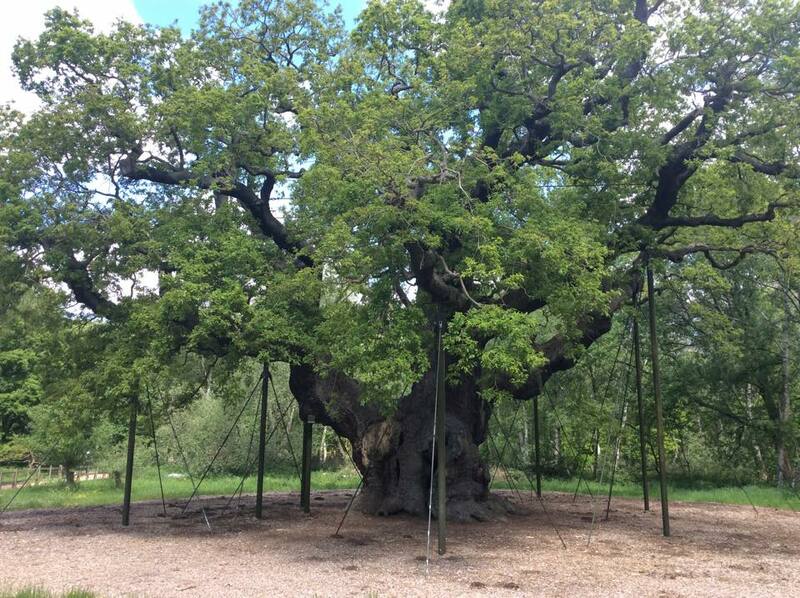 Robin Hood and the Major Oak in Sherwood Forest. You can’t come to England without visiting Yorkshire. Larger than some American states and as folks in those parts would say ‘Gods own country’, Yorkshire has something for everyone. 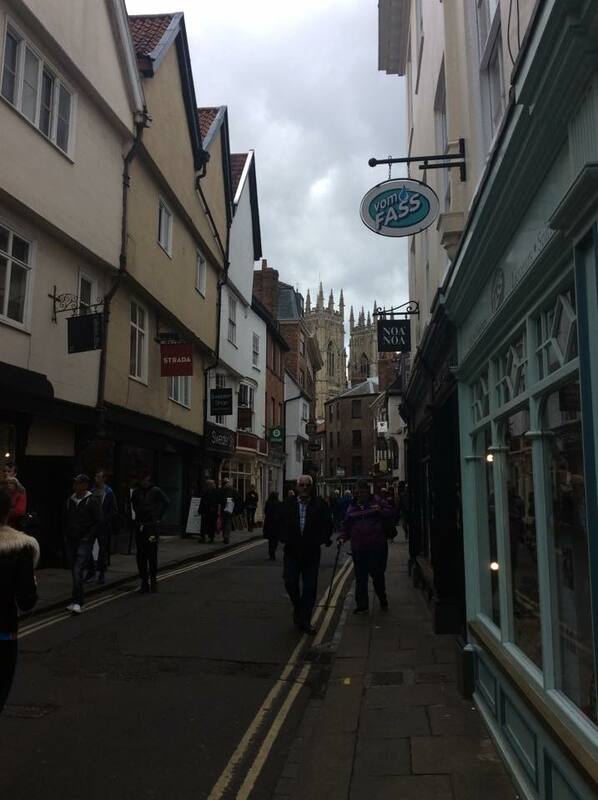 Whether it is its ancient capital of (old) York with its magnificent cathedral, medieval streets and bloody history of Roman conquest and Viking savagery or the quaint tea-rooms of Harrogate as visited in Downton Abbey. Day 5 – A drive across the wildly beautiful but foreboding Yorkshire Moors will take you to the seaside town of Whitby. 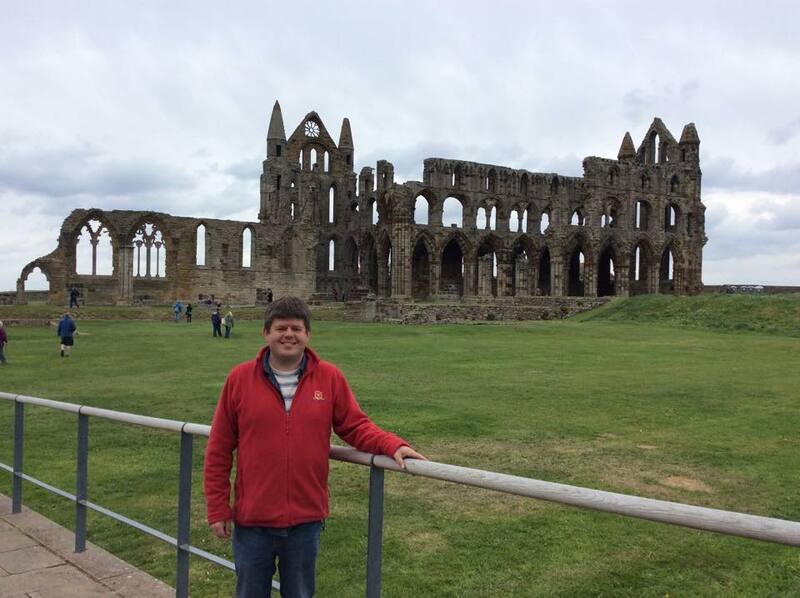 Famous for Captain Cook and all things Dracula and you can follow the famous Transylvanian Count up the legendary 199 steps to the ruins of Whitby Abbey or maybe just try some classic Fish and Chips. Your friendly, blogger, author and tour guide on top of the steps to Whitby Abbey. Day 6 – As we travel further north through the increasingly dramatic countryside, we will reach the beautiful old city of Durham, famous for its narrow streets, university, castle and most of all its Cathedral perched up above the steep banks of the River Wear. Day 7 – Finally, we will reach the ancient Kingdom of Northumbria with its wealth of castles and ruins and famous Hadrians Wall (Roman Wall) that stretches from coast to coast. There is also Alnwick Castle, often visited by the family from Downton Abbey and the real location for Hogwarts in Harry Potter as well as appearing in many Robin Hood related shows. 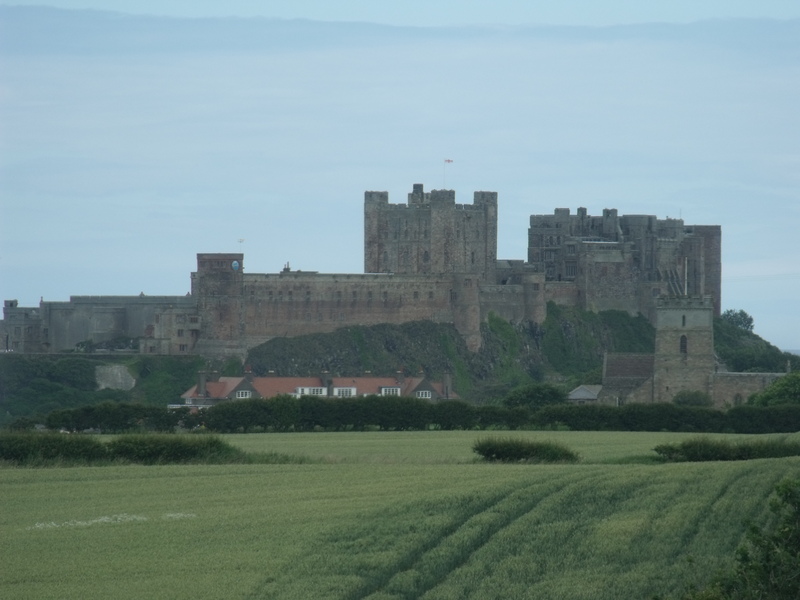 Reaching the most fought over lands in history, we near Scotland and possibly the most amazing castle in the world, Bamburgh Castle, haunted and rugged looking as it sits above the North Sea. Once it was the home of Sir Lancelot of King Arthur fame and the capital of the large kingdom of Northumbria. The battles and landscapes here are what inspired Game of Thrones. Bamburgh Castle – Winter is Coming! Finally, we drive across the bed of the North Sea to the Holy Island of Lindisfarne which is connected to land at low tide but cut off at high tide. It was here that nearly 1400 years ago some of the first Christians in Britain looked out to see the very first Viking raid. Most would be massacred and even though the world would change for ever, it was just another page in history for our beautiful countryside and its people. See all the sights left to us by our prehistoric, Roman, Viking, Anglo-Saxon and Norman ancestors that inspired some of the worlds greatest writers and the beautiful countryside that you’ll probably recognise from so many of the famous television shows and movies.